I was working on the latest installment of Fidelity Wars this weekend, when suddenly my blog logs me out. None my work had been saved. I’m a busy man! I have things to write, games to complete, comic books to read, theories to refute, and YouTube videos to watch; I ain’t got time to re-write blog entries. Frustrated, I decided to postpone re-writing the entry and instead writing a different one for Christmas eve, featuring a Christmassy tune. Which just so happens to be this entry! For Christmas eve I’ve of course chosen a track from the Christmas themed album from the Disney’s Lullaby series, namely “White Christmas”. This is a song I’ve never really been able to previously stand, as it’s sounded way too North American (and all Europeans loathe North America), with overall unappealing lyrics and melody. But, lo and behold, Fred Mollin has managed to make this tedious holiday standard into a beautiful and tender guitar driven piece of music! This album is pretty good, and definitely recommended if you want some relaxing Christmas themed music to put on in the background while you’re decorating, baking, having Christmas dinner or other Christmassy gatherings, or are re-writing blog entries. God jul, everyone! 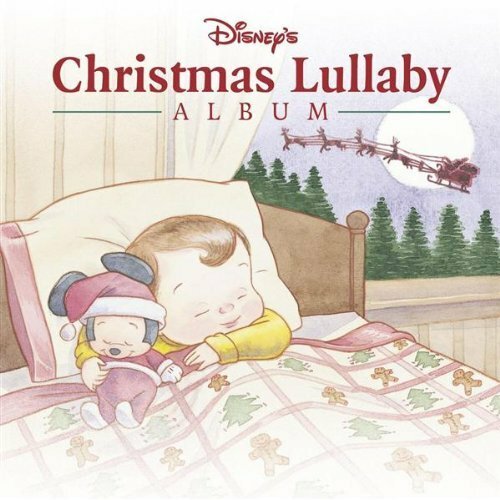 This entry was posted in fidelity wars and tagged christmas, disney, fred mollin, lullaby. Bookmark the permalink.